Fifth grade choir students from Harlingen High School and Harlingen High School South feeder campuses will get to show off their vocal talents during the 2013 Feeder Choir Clinic on April 8 and April 9. Choir students from HHS feeder campuses will have their clinic take place on April 8 and Mr. Joel Cruz will serve as clinician. 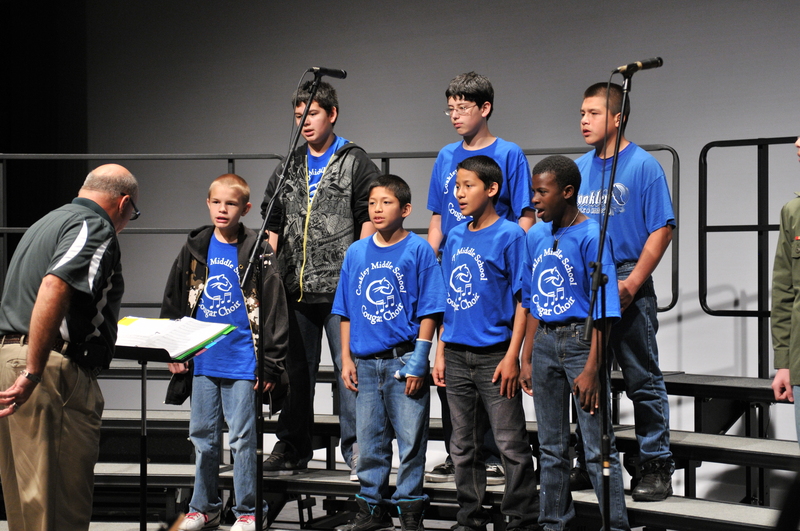 Choir students from HHSS feeder campuses will participate in the annual concert on April 9 and Mr. Randall Ashley will be the day’s clinician. 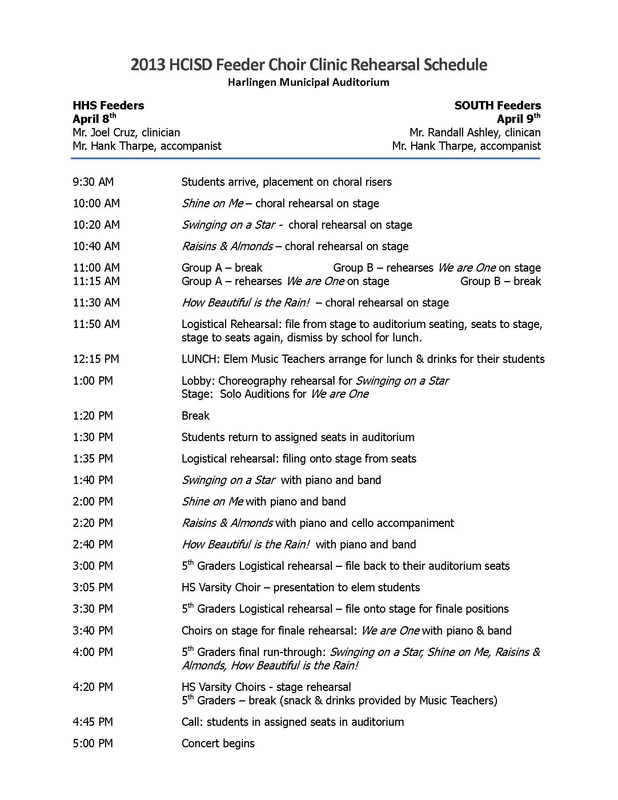 Throughout each day, students will embark on a day of practicing in preparation of their public performance at 5:00 p.m. The high school varsity choirs will also join them during the concert. Rehearsals and the concert will take place at the Harlingen Municipal Auditorium. 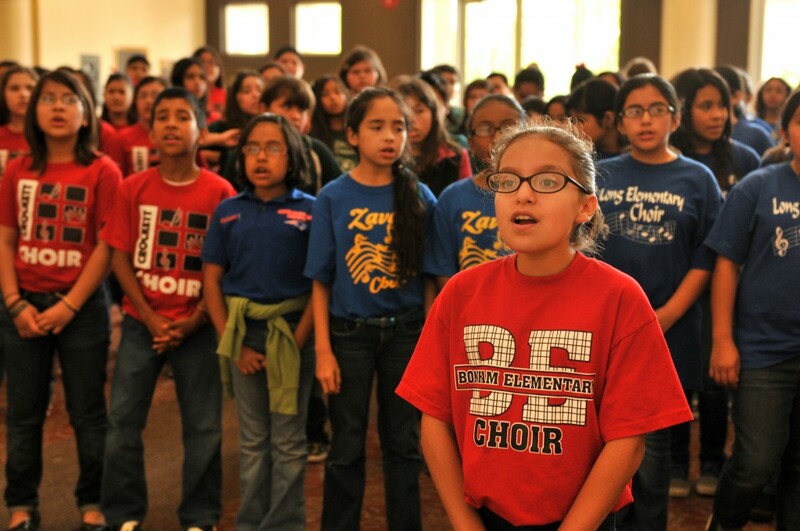 Over 2,000 elementary school choir students will participate.